Vintage Egyptian Old Real Photo Photograph Photographic Postcard. Africa Egypte Egypt. Ethnic Life. 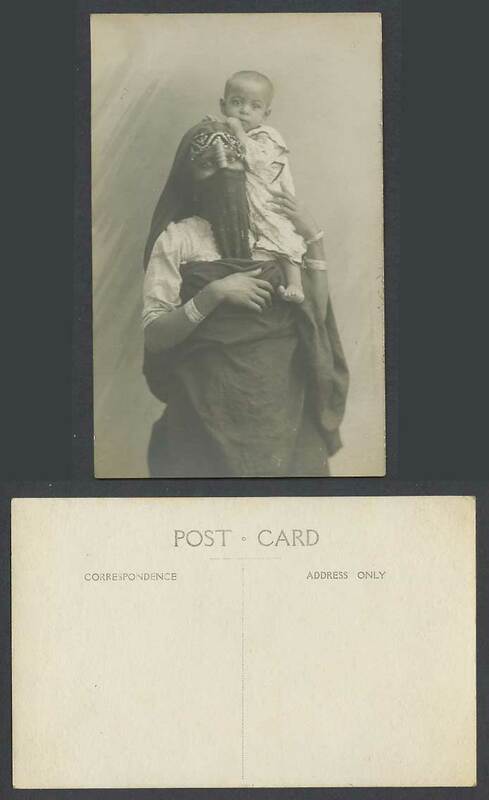 Native Veiled Egyptian Woman Lady Holding a Baby, Child. Children. Traditional Costumes.